Brooklyn Bagel & Coffee Company takes pride in making bagels the old-fashioned way. Handrolled each morning, the bagels are water-boiled and baked for a pleasantly crisp outer shell. Their dense, chewy interior complements the myriad of spreads and sandwich possibilities offered at the counter. A roster of over 14 cream cheeses includes unusual flavors like pistachio, pumpkin, and cheddar, as well as a generous selection of vegan tofu spreads. Order the 65-cent mini-bagel, which is actually regular size — unless you’re hungry enough to take on the behemoth ‘regular’ bagel. The owners don’t skimp on ingredients either, and take pride in using name brands like Pillsbury and Philadelphia. The shop does well on its lunch offerings as well, including a noteworthy create-your-own-salad bar and Mediterranean-inspired wraps. The weekend line at this popular breakfast spot often runs up to 10 minutes, but savvy customers can take advantage of the free wireless and spacious seating area while their friends take their order. 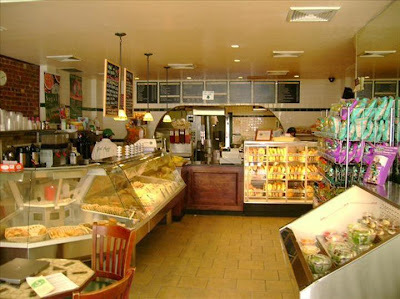 For those living in Astoria, there are two more Brooklyn Bagel & Coffee Company locations in your neighborhood at 35-09 Ditmars Boulevard, Astoria, NY 11105 and 35-05 Broadway, Astoria, NY 11106.